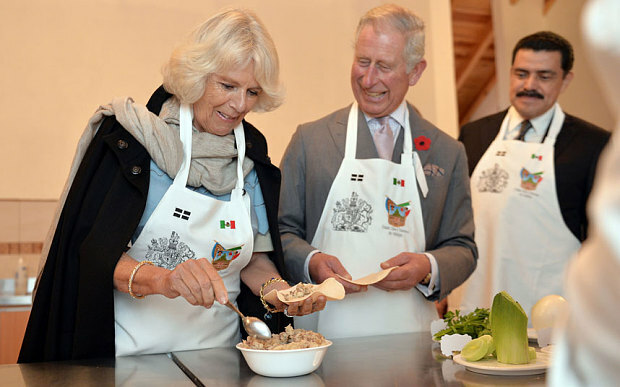 Prince Charles and the Duchess of Cornwall on Sunday visited a remote Mexican mining town to pay tribute to hundreds of British expatriates who brought football and Cornish pasties to Central America two centuries ago. 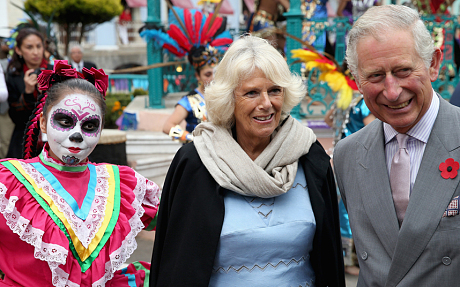 The royal couple spent the day in Pachuca and nearby Real del Monte, 60 miles north of Mexico City, an area nicknamed “Mexico’s Little Cornwall” for its close ties to the West Country. They laid a wreath at the memorial of a Mexican-British soldier who died in the First World War, placed the first turf on a new football pitch and visited the world’s only pasty museum. Hundreds of Cornish families moved to Pachuca and Real del Monte in the 1820s for a new life working in silver mines that had fallen into decline. They not only brought mining expertise and 1,500 tonnes of equipment to revitalise the area, but also British culture, which remains to this day. Pachuca now hosts international pasty, or “paste”, festivals and houses an official Fifa football museum to recognise that the country’s first club was founded there in 1901, once the Cornish had settled. The city’s old clock tower even chimes like Big Ben. Around 350 Cornish miners, wives and children sailed to Mexico on three ships in the early 1820s, with the first arriving in 1824. It took them 14 months to haul their equipment 250 miles from the coast to the inland Pachuca and Real del Monte in what is remembered as the “Great Trek” in Mexican folklore. Private Vial’s father, James, from Camborne, Cornwall, is believed to have joined the diaspora in 1881. “Vial” was an adaptation of Veale, the original family name, according to Gill Riffat, whose great, great grandfather, Francis Rule, provided the funds to build Pachuca’s Big Ben clock. Private Vial, born in 1894, was 22 when he died of wounds in the Somme in February 1916 serving as a gunner in the Royal Field Artillery.